The upgrade will give Android’s personal assistant, Google Now, expanded powers of intuition that may be greeted as a great convenience to some and a tad too creepy for others. Google’s next version of its Android operating system will boast new ways to fetch information, pay merchants and protect privacy on mobile devices as the Internet company duels with Apple in the quest to make their technology indispensable. Most of the renovations unveiled Thursday at Google’s annual developers’ conference won’t be available until late summer or early fall, around the same time that Apple is expected to release the latest overhaul of the iOS software that powers the iPhone and iPad. The annual changes to Android and iOS are becoming increasingly important as people become more dependent on smartphones to manage their lives. Android holds about an 80 percent share of the worldwide smartphone market, with iOS a distant second at 16 percent, according to the research firm International Data Corp. 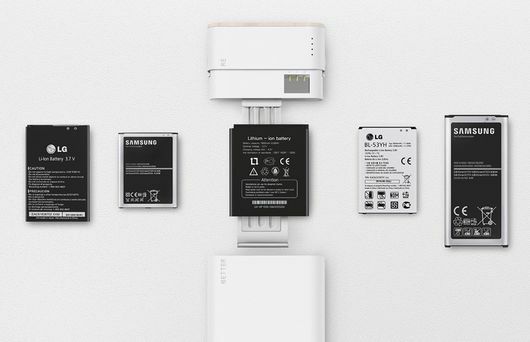 Both Google and Apple are vying to make their products even more ubiquitous by transplanting much of their mobile technology into automobiles and Internet-connected televisions and appliances. Google hopes to play a prominent role in the management of home security and appliances with a new operating system called Brillo that will interact with Android devices. Google Now currently learns a user’s interests and habits by analyzing search requests and scanning emails so it can automatically present helpful information, such as the latest news about a favorite sports team or how long it will take to get to work. Google is hoping to provide Android users with what they need at the precise moment they need it without forcing them to hopscotch from one app to another. Like Apple’s system, Android Pay can be used to store major credit and debit cards in smartphones that can be used to pay merchants equipped with terminals that work with the technology. Android Pay will also work on devices running on the KitKat and Lollipop versions of Android released the past two years. A set of mobile security experts provides insight on the current state of Android security. Thanks to its inherent “openness,” the open source Android OS is vulnerable to a variety of security risks, but how often do people you know actually fall victim to Android malware or other attacks? Is the Android security risk overstated? Is the Android risk really greater than the risks posed by its iOS and Windows Mobile counterparts? And what can users, and the enterprise IT departments that support them, do to better protect their Android devices? “That’s a significant jump, predominantly driven by an increase in ransomware, a nasty form of malware that locks a person’s device and demands money in exchange for reinstated access,” says Michael Bentley, Lookout’s senior manager of security research and response. Android devices were the targets of 97 percent of all mobile malware in 2014, according to Pulse Secure‘s “2015 Mobile Threat Report.” And the Android security risk level “increased substantially year-over-year,” says Troy Vennon, director of Pulse Secure’s Mobile Threat Center. In 2012, there were 238 specific Android malware threat “families,” and that number jumped to 804 in 2013 and 1,268 in 2014, according to Vennon. At least 15 million mobile devices were infected with malware in September 2014, according to a report from Alcatel-Lucent’s Kindsight Security Labs. Of those devices, 60 percent were Android smartphones and about 40 percent were Windows PCs that connected to the Web via mobile networks. Windows Mobile, iOS, BlackBerry and Symbian devices represented less than 1 percent of mobile malware infestations. Symantec’s 2015 “Internet Security Threat Report” says 17 percent of all Android apps (nearly a million) are malware in disguise. In comparison, Symantec uncovered approximately 700,000 Android malware apps in 2013. Android is more vulnerable than iOS because of its OS fragmentation, according to Geoff Sanders, cofounder and CEO of LaunchKey. The overall risk level for Android is also higher because it’s the most popular mobile OS, according to Bojan Simic, CTO of HYPR Corp.
Apple deploys iOS only on its own devices, so the company has “far better control and knowledge of risk,” Simic says. Apple’s app verification system is also significantly more rigorous than Google’s process in the Play store, and it results in less malware, according to Simic. Windows Mobile users are safer due to the rule of “security by obscurity,” Simic says. “Most hackers will direct their efforts where the biggest payoff is, and right now that target is Android due to its sheer amount of users. During the past year or so, a number of high-profile Android-based attacks and vulnerabilities made headlines. Operation Emmental, which targeted 34 European banks, is probably the highest profile attack that used Android malware as a key component, according to Simic. The WebView bug in Android 4.3 (and older versions) was also widely reported, according to Gleb Sviripa, an Android developer at KeepSolid, and it left around 930 million Android devices vulnerable to potential attacks. WebView let “apps display Web pages without launching a separate app, and the bug could open up affected phones to malicious hackers,” Sviripa says. Google launched security patches for Android 4.4 and above but said it wouldn’t develop patches for earlier OS builds. Instead, it encouraged the development community to step in. Google’s head Android security engineer said the decision was due to “the complexity of applying patches to older branches of WebKit,” according to ZDNet. AndroidLocker, another very real threat, is “a new malware variant discovered last year by Dell, which mirrored the functionalities of ransomware,” says Swarup Selvaraman, senior product manager at Dell SonicWALL. “The malware would lock down mobile devices, claiming to be the FBI, and demand users pay a ‘fine’ within a certain time to unlock their devices and avoid criminal charges. The mobile security threat exists, but it is “overblown,” according to new research from Damballa. For its spring 2015 report, the company monitored about 50 percent of U.S. mobile traffic (including but not limited to Android). Damballa concluded that mobile users are 1.3 times more likely to be struck by lightning than to have their mobile devices compromised by malware. “This research shows that mobile malware in the Unites States is very much like Ebola – harmful, but greatly over exaggerated, and contained to a limited percentage of the population that is engaging in behavior that puts them at risk for infection,” said Charles Lever, a Damballa senior scientific researcher, in a press release on the company’s website. The mobile malware threat is “really minimal,” according to John Gunn, vice president of VASCO Data Security. While many people have some sort of malware on their computers, “few know anyone who has had malware on their mobile device,” he says. Less than 1 percent of Android devices had a potentially harmful app (PHA) installed in 2014, and the number of PHAs on Android devices dropped by 50 percent between the first and fourth quarters of last year, according to a Google Online Security Blog post published by Android security lead engineer Adrian Ludwig in April 2015. Less than 0.15 percent of devices that only installed apps from Google Play had a PHA installed last year, Ludwig wrote. The bottom line is that malware attacks “are increasing because users are spending more time on mobile devices than ever before, the value of the data on mobile keeps increasing, and a single OS (Android) dominates the market, increasing the footprint for attackers,” says Domingo Guerra, president and cofounder of Appthority. Hyundai announced it will begin using Android Auto in vehicles this year, making it the first carmaker to enable vehicles to mirror a connected Android smartphone to the car’s dashboard infotainment system. 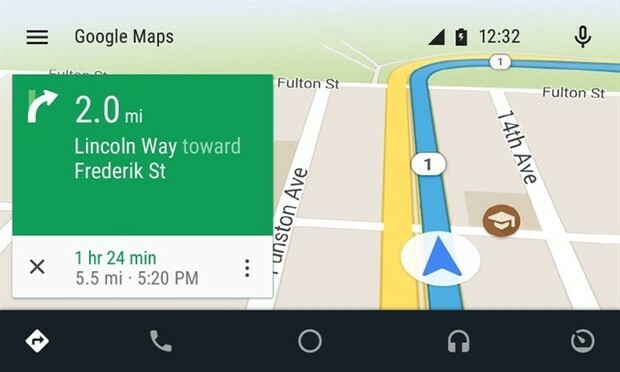 Android Auto enables Google maps navigation. They first dug up Social Security data, dates of birth and street addresses through other sources. First announced in June 2014, Android Auto (compatible with version 5.0 “Lollipop” and later) is supported by the Open Automotive Alliance, a group made up by Audi, General Motors, Honda and Hyundai, as well as Google and several technology companies. Android Auto competes with Apple’s CarPlay, and other open source standards such as MirrorLink or GENIVI, all of which enable vehicle infotainment centers to mirror a version of a smartphone OS onto a vehicle’s head unit. By mirroring the mobile OS, drivers can use mobile applications, such as Google Maps or iTunes through the vehicle’s infotainment system. This is how Google Maps will appear on the Hyundai Sonata’s infotainment center. Geofencing is an iOS feature that’s likely to see significant improvement within iOS 9, as Apple introduces new frameworks for connected (“Internet of Things”) devices; so how might Jony Ive use the feature to help him travel? 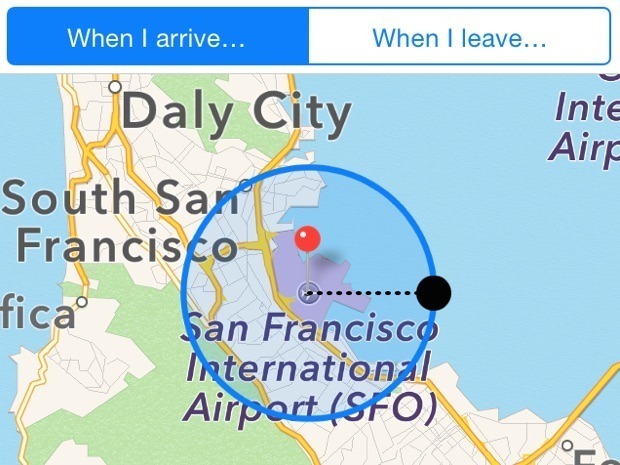 A short definition: Geofencing uses Core Location in iOS 8 to monitor where a user happens to be and then offer reminders or other prompts if that user enters or leaves a previously specified area. In the case of Apple’s recently promoted Chief Design Officer, Jony Ive, geofencing in iOS could remind him to check he has his passport with him when he reaches the airport to board his private jet to the UK to attend the school play (should that kind of Transatlantic existence be what Ive’s recent promotion is really about). Enabling geolocation takes just two steps. First you must turn on Background App Refresh in Settings>General>Background App Refresh. Secondly you should toggle Reminders to the on position in Settings>Privacy>Location Services. With location services enabled Apple’s top designer can easily set up a Reminder to check he is carrying his passport when he gets close to the airport. Launch the Reminders app, tap + and create a “Get passport” reminder. Tap circled “i” to the right of that item on the list. In the subsequent Details screen choose ‘Remind me at a location’ and a new screen appears. On this screen you see a map, some pre-chosen destinations and a search bar. Choose the location from which to set a location center. In the map at the bottom of this page your chosen location will appear surrounded by a blue circle with a black dot. The circle defines the boundaries of your geolocation zone, you can extend the radius of this by dragging the dark dot to the right of the circle. (In this case I extended the radius to 5km from San Francisco airport, so Ive gets the time he needs to pick up that forgotten passport. Once you’ve chosen the location you can set the Reminder to launch when you enter or leave the area. In future, whenever the Apple designer is 5km from the airport he’ll be reminded to check his passport. Which would be a little annoying until the inevitable happens and he does forget the document. iOS developers make extensive use of geofencing when working with iBeacons and/or retail apps. If you happen to use the Starbucks app then you’ll have seen its icon appear at bottom left of your iPhone when you pass a store – that’s an example of geofencing and location services in action over beacons. Geofencing also has implications in the home – so iOS-controlled Phillips Hue lamps can be set to switch on or off as you enter or leave a room. That’s an example of how indoor mapping will be used within the control system for the smart home, of which we expect to learn much more at WWDC (and perhaps get a hint at the future of the iPhone). It will be interesting to see if Jony Ive will want to tell developers a little more about Apple’s design direction at the annual event, as he adopts a more strategic role within the company. 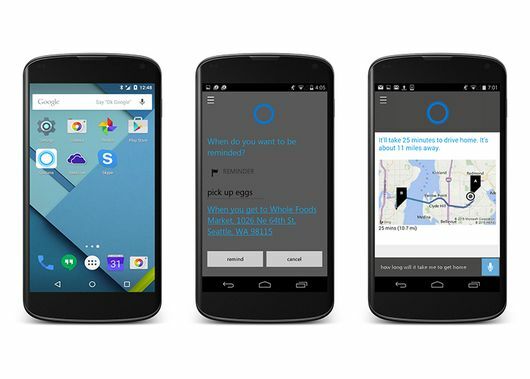 Microsoft has announced that it intends to bring Cortana to iOS and Android devices later this year. Up until now the digital assistant app has been restricted to Windows Phone devices, but, as we already knew, it will also be extending its reach across desktops and laptops when Windows 10 launches to the public in the next few months. It’s a move that’s been widely predicted as Microsoft focuses on getting its products out to as many platforms as possible: the company’s flagship Office suite of apps has also appeared on Apple and Google-powered handsets in the last few months. 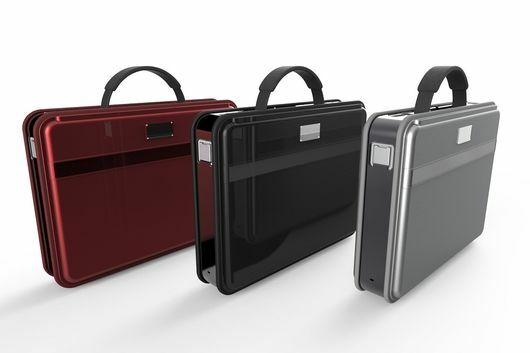 This multiple-device approach is epitomized by Windows 10, which is coded to run the same apps across computers, smartphones, tablets and the Xbox One. Just like on Windows Phone, you’ll be able to ask questions of Cortana through iOS and Android. Notifications are going to be supported, so you can set up reminders to get milk or check up on your flight status. Your Cortana notebooks will also be synced across all platforms. 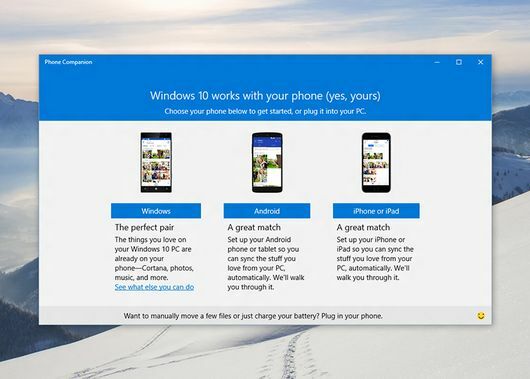 The Cortana app rollout is part of a new Phone Companion service arriving with Windows 10 – it’s designed to get iPhones and Android phones working smoothly with the likes of OneDrive and Microsoft’s Music app. It’s distinctly different from Apple’s approach, which doesn’t make any apps for competing mobile platforms, and a bit more like Google’s cross-platform approach. Most of Cortana’s smart functionality will be carried over to the iOS and Android apps, but because it’s not going to have the deep integration it enjoys on Windows Phone, you won’t be able to launch apps or toggle settings using the personal assistant. There’s no official release date for Windows 10 yet but it could come as early as July. While you wait, the video below shows Joe Belfiore explaining how the operating system will hook up with your smartphone, whatever platform it happens to be running.